For a list of herbal and bodywork practitioners please see my SERVICES page. Holistic Medicine means taking into account the mental, physical, emotional, and spiritual components of our bodies and illnesses. 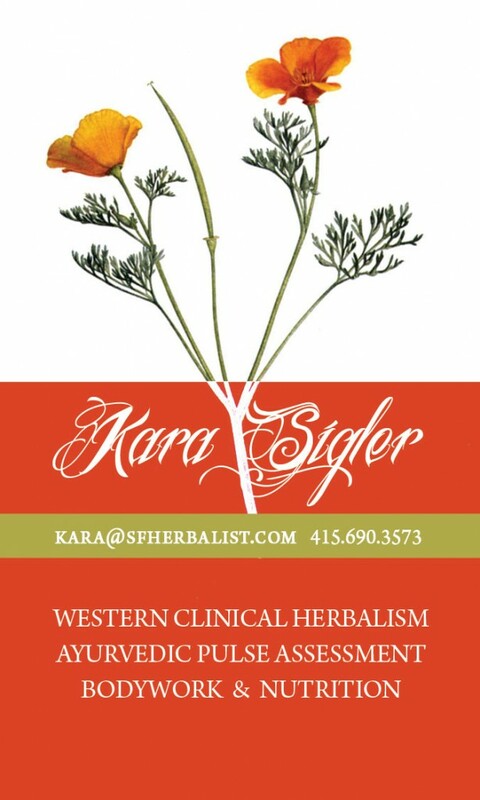 That is why Kara offers Herbal and Nutritional consultations, Ayurvedic Lymphatic Massage, and Pulse, tongue and facial diagnosis for clients. All bodywork is accompanied by a consultation to have the maximum therapeutic benefit. Throughout history cultures rely on plants as the foundation for health and medicine. According to the World Health Organization, 82% of the world’s population still depends on herbal medicine to meet basic health care needs. As Americans, we are in the minority of the peoples of the world who rely on the Western Medical Model of pharmaceuticals. We return to our ancestral roots and rejoin the world’s populous by using herbs as food and medicine. We take back our health and our own power of healing by educating ourselves on healthy food and lifestyle choices. Plant medicines allow the body to maintain health as well as return to dynamic equilibrium. It is not a static perfection that we are after, but the ever consciously changing shifts that bring us closer to balanced wellness. Herbs tone the body’s ability to respond to stress and illness to be proactive and preventive in our process of health and healing. Kara supports local farmers, community health, and respect for the earth. All herbs are organically grown or ethically harvested from the wild. Alcohol-based tinctures are made from biodynamically-grown organic grapes or cane. 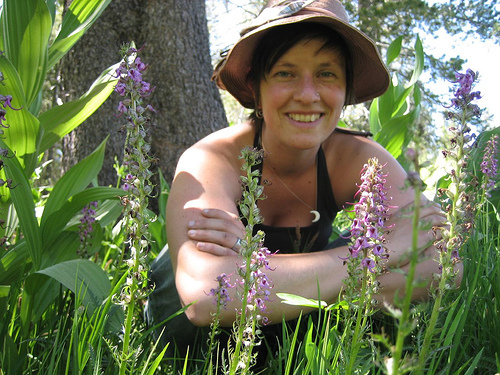 I am a clinical herbalist making extracts from local organic and wild crafted plants. My medicine and practice are centered around respect for the plant allies and connecting them to the people that they serve. As a teacher my goals are to inspire empowered self/healthcare of body, mind and spirit, keeping in mind anti-oppression work and collective liberation as underlying themes of access to medicine. My practice for the past 10 years has focused on Queer and Trans health. I teach classes on incorporating herbal allies into our daily chaotic stressful modern lives. Part of my social justice work entails working in free or low-income clinics and making my medicine as affordable and accessible as possible. I believe healing with herbs has the radical potential to change the world of access and privilege within medicine and this is rooted in the belief that healing ourselves is inseparable from healing our communities and the planet.